Another of the absolutely wonderful crochet patterns by Carolyn Christmas of Gourmet Crochet. 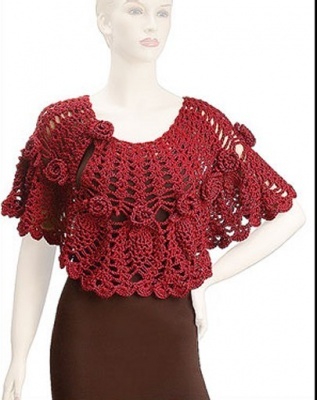 This one is Jocelyn, Capelet with Roses and I think I'm in love. 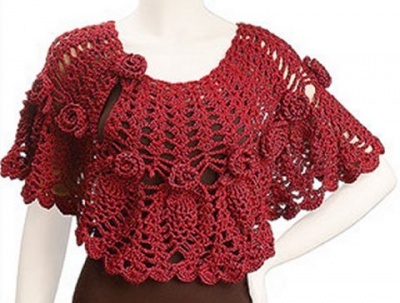 "Crochet a beautiful, romantic capelet featuring a graceful combination of pineapple lace and three-dimensional roses and leaves." 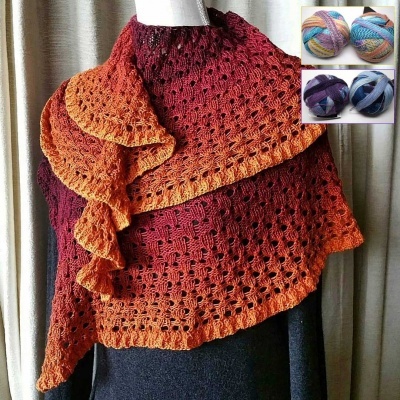 It is made with soft worsted-weight yarn. 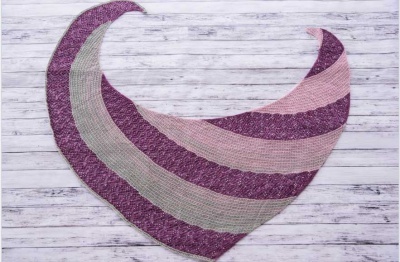 figure on using about 650 yards of size samml to medium, 700 yards for large to Xlarge, 750 yards for sizes 2x to 3x and 800 yards for sizes 4x to 5x. And yes, the desing actually does cover all those sizes! You will be aiming for a gauge where 8 rows of double crochet gives you 4 1/2" and 16 dc = 5 inches. Carolyn used a hook of 5.5mm for this, but yours may of course vary.